Geography: South East, Buckinghamshire. Part of Aylesbury Vale council area and two wards from the Wycombe council area. Main population centres: Buckingham, Winslow, Princes Risborough. Profile: The constituency is made up of the patchwork of affluent villages in the Buckinghamshire countryside, covering most of the Vale of Aylesbury besides Aylesbury itself. Buckingham itself is a small market town, home to the first private university in the UK. Other population centres include the town of Winslow, Princes Risborough and villages such as Cuddington, Haddenham, Ludgershall, Stewkley and Steeple Claydon.. Politics: Rural Buckinghamshire is a rock solid Tory bulwark, the Conservative equivalent of Bootle or the Welsh Valleys for Labour. In the 1960s a seat of the same name was held by Labour (represented by newspaper publisher Robert Maxwell) but that was a very different seat which included Milton Keynes within its boundaries, the current seat could never be expected to vote Labour. The current MP John Bercow was elected Speaker in 2009 and Labour and the Liberal Democrats observed the rather intermittent convention of not contesting the Speakers seat at the 2010 election. Instead John Bercow was opposed by a selection of minor parties and independents - most successful amongst them Nigel Farage, the leader of UKIP who was injured in a plane crash on the day of the election, and John Stevens, the former Conservative MEP whose campaign sent a man dressed as a dolphin to persue Bercow during the campaign to draw attention to him allegedly "flipping" his home to claim expenses. JOHN BERCOW (-) Born 1963, Edgware. Educated at Finchley Manorhill School and Essex University. Former merchant banker and special advisor. Lambeth councillor 1986-1990. Contested Motherwell 1987, Bristol South 1992. First elected as MP for Buckingham in 1997. Shadow Chief Secretary 2001-2002, Shadow Secretary of state for Work and Pensions 2002. Shadow secretary of state for international development 2003-2005. Speaker of the House of Commons since 2009. Bercow has undergone a remarkable transition across the political spectrum - as a student he was a member of the right-wing Monday club, and secretary of their immigration and repatriation section, when first elected he was a combatative right-winger, however in later years he mellowed, expressing more liberal and left wing views and resigning from the frontbench under Iain Duncan Smith over the issue of gay rights. He was elected Speaker in 2009, supposedly largely on the back of support from Labour MPs. ALAN FRANCIS (Green) Contested Milton Keynes North 2010. JOHN BERCOW (Speaker Seeking Re-election) See above. Here are the 2011 local election results which make up this constituency. (I’m putting this here because Farage stood in this constituency in 2010). UKIP getting 20% overall probably matches up with them getting about 25% in the divisions they contested. although I also think the Tories should really go for it themselves. UKIP must be in with a shout if they carry on polling well. It would be hilarious to see Bercow defeated. Many thanks Andy for the national projections from Thrasher and Rawlings. I trust those as they use lots of data. I think the BBC do it quite well too but they seem rather under pressure to rush it out quickly, and in so many rural seats it’s important to get all the nuanced data in. I think Anthony said there is one slight qualification on the T&R method which he thinks is a little too raw? But I think it’s the best we have. I see it’s managed to add another point to the Tory vote though. The LDs must be a bit concerned about the 13% figure. this is taking the Libs back to 1979. Here are the 2013 County Council election results which make up this constituency (rough estimate*). I wonder if the Conservatives have ever considered putting up a candidate against Bercow in 2015. After all, Labour and the Liberals put up candidates against Selwyn Lloyd in Wirral. I ask because there have been mutterings again about his alleged anti-Tory bias. As it happens, I think he has done some good things as Speaker- for example,I like the fact that he allows urgent questions to ministers. Nevertheless, he can be insufferably heavy-handed when chairing debates. The problem, ultimately is that unlike Weatherill, he has no style. I doubt it. It would have been something of an unwelcome distraction and not great press. Strictly speaking he was the Tory nomination for speaker after al. I have never been sure why parties are so keen to have one of their MPs as speaker to be honest though. They are essentially losing an MP, and in this case the Tories may have lost a very safe seat for a long time. So the Conservatives only polled 37.0% to one decimal point if you regard Bercow’s votes as Conservative votes. Otherwise they polled 36.9% to one decimal place. I hadn’t previously realised that Bercow had promised to serve no longer than nine years as speaker. That has led this seat to be the latest to be mooted as a possible route for Boris Johnson the get back into the Commons; seemingly for little other reason than that the timing would work out for Boris re the expiry of his current term as London Mayor. Boris would not contest the 2016 mayoral election, and would thus be free to fight Buckingham when Bercow stepped down in 2017. The problem then is that surely by 2017, the conservatives will have chosen a new leader to replace David Cameron? That person will then lead the party into the 2020 election? Depends whether they win the next election or not. I think if they do win it Cameron would continue until about 2018. Bercow’s latest controversy seems to be over supporting some Australian lady with no knowledge of the UK Parliament as Clerk. This seems to be the subject of rapid backtracking. Could somebody explain to me why it is a lifetime’s task to learn the rules of the Westminster parliament? Whereas Erskine May is a large published book, most other organisations, including for instance County Councils, seem to manage with Standing Orders a few (say ten to be on the generous side) pages long. And most matters of order can be dealt with using natural justice, or indeed common sense, anyway. It is not as though the Commons’ arcane standing orders are that wonerful anyway. They seem as much as anything to be a tool to stop MPs, particuarly backbench MPs, doing anything. Isn’t it time the Commons threw out the lot and started afresh with something simple and sensible? By the way, the first thing, with the sole exception of electing a speaker, a new House of Commons should do following an election is adopt its Standing Orders. I looked through Erskine May about this some years ago and discovered that they don’t seem actually to do this. Presumably Erskine May is adopted on the authority of the elected or re-elected Speaker. To my mind some principled and independent-minded backbencher ought to challenge this. In relation to elections in Buckingham, there seem to have been a large number of comments relating to the political position of the Speaker (often presumed to be anti-Tory), But how much of an issue is there actually about Bercow’s competence as Speaker and the willingmess of challengers at constituency to campaign on this (and if so their own competence as chairmen or chariwomen)? On a separate point raised by Hector, my recollection, being somewhat long in the tooth, is that in 1964 there was considerable reluctance by the Labour Party in particular at having two Deputy Speakers, eroding their majority of three. My recollection is that the upshot was that the Conservatives and Labour had one Deputy Speaker each (please excuse my not getting the titles exactly right) and the third Deputy Speaker was one of the nine Liberal MPs. It did of course make a substantial difference to the Government’s majority when Sir Harry Hylton Foster died in 1965 (I believe he literally dropped dead in a London street) and was replaced by Labour’s Dr. King. And finally, my understanding is that the ordinary person in the street has now been priced out of buying a housing anywhere in the country other than, perhaps not surprisingly, Sellafield. Nobody can now buy unless they have savings, money from a previous house or family support. I hope the other parties do stand here. This convention is unacceptable. This could be a UKIP gain. Everyone thinks everywhere could be it seems. The reality is different. There are about 275 seats they’d win before this one. 2nd yes, beating bercow? Nope. Anthony’s profile is odd – he describes farage as “the most successful” of the minor party candidates here in 2010. But of course he wasn’t – John stevens was. Personally I think the convention is a decent one as the Speaker is an impartial figure. However, the big issue with the Speaker seeking election is that his or her constituents are stuck with an MP who can’t vote on big issues (the same can be said for the Deputy Speakers). Several pints could be consumed over the course of a discussion on this issue. Incidentally, the convention only technically dates back to the 1992 election, as Labour and the SDP stood against Bernard Wetherill in Croydon North East in 1987 (although this admittedly is the only instance of either party opposing the Speaker). If UKIP – and to a lesser extent the SNP – wish to be truly considered major parties, perhaps they would fo good to follow convention as well? Hugh- that’s not quite correct. Labour and the Liberals stood against Selwyn Lloyd in his Wirral constituency in the two 1974 elections. John Stevens was really standing as a Lib Dem in disguise, of course. How could he have stood in Buckingham? There won’t be a Conservative candidate here. You seem to have posted some pretty bizarre things recently. ALAN FRANCIS (Green)? Election forecast has 100% for the speaker. I’m surprised no-one’s mentioned this: this could be a very good seat for the Greens, because the other major parties aren’t participating. Also because it’s a rural area, which means that people are more aware of Green issues and thus seem more likely to vote for the Greens now that they are a viable force. The metropolitan Westminster elites dismiss it because they never really stepped outside of zone 3 on the tube but, believe me, the polling I’ve seen suggests that looking at the countryside, we could see a Green breakthrough in 2015 or maybe 2020. “…the polling I’ve seen suggests that looking at the countryside, we could see a Green breakthrough in 2015 or maybe 2020”. Yes, I can imagine the Greens absolutely sweeping a large rural seat with a very large average income. Must be an easy gain! UKIP are standing again. Their candidate is Dave Fowler. Unless the Greens come out in favour of hunting, shooting and fishing, against wind farms and in favour of 4 by4’s I would not expect them to make much impact here. John Bercow had a massive majority before he became Speaker and its not going to disappear now. The only way the Green Party will ever get any significant widespread traction in Tory inclined countryside/villiages would be if they kicked out the far left nutjobs and became an economically centre-right or at the very least centrist party. Otherwise forget it. The Green Party winning here is about as likely as the Tories winning Bootle (i.e. zero probability). Greensurgevoter your comments are woefully ill informed and completely detached from reality. You have allowed your partisan leanings to get in the way of fact. It is one thing to be cautiously optimistic about your party’s chances it is another to allow your predictions to stray into the realm of insanity. As for this election Bercow will hold comfortably in May with UKIP a respectable second. Yes the Green Party will save their deposit and may break 10% due to the big three not standing, but this seat doesn’t contain many Green friendly demographic groups. There will be a by-election here in the next parliament (as Bercow said he will step down as speaker) which the Tories will probably win easily. I was wondering if UKIP would contest this seat this time. I did get the thought that now they consider themselves to be a mainstream party they might join the tradition of not contesting the speakers seat. I have seen polling. We’ll see. I am impartial. So impartial it literally says the name of the party you support in your name. No you aren’t you are a party hack. If you are telling the truth and have seen polling showing the Greens competitive or god forbid winning in this Tory bastion then the methodology/sampling would have been woefully poor, so much so that it would make the Lib Dems private polling methodology look positively brilliant in comparison. “I have seen polling. We’ll see. I am impartial”. I am not a “party hack”. The reason that my name is “GreenSurgeSurfer” is not because I support the Green Party (in fact I don’t think I’ve ever revealed which party I support on here) but because the most famous and inspiring part of this election has been the Green Surge, something we’ll remember for years to come. I don’t want to reveal too much of the private data that I’ve been part of but I can tell you the methodology is solid. 1) It’s rural, so people care about green issues like global warming, not building on the green belt,. animal rights and farming as well as flooding and the like. 2) If you take the number of green voters overall (perhaps 1 million votes) and consider that there are only about 75’000 votes here then it’s not inconceivable that Greens could take a majority here, needing about 30’000. 4) The underlying feature of this election: that of voters needing an alternative. Only the Greens, Plaid Cymru and SNP have successfully shown themselves to be an alternative to Westminster. This will go down well here as it is far from Westminster. So, 1m potentially Green voters…….650 constituencies…..giving an average of 1500…..yet apparently 30,000 of them will suddenly converge here despite no electoral precedent in the constituency….? I suspect GreenSurge is a young voter who knows little of psephology and has got himself carried away. The Greens will probably poll slightly stronger than average here due to the absence of Labour. But expecting a wealthy, very right wing constituency to vote for a hard left party is crazy. The countryside could have been fertile territory for the Greens if they’d continued the environmentally-conscious centrism of the 1989 Euro-elections. Unfortunately they decided the best course was to attack Labour MPs in cities instead. CountyDurhamBoy I am not a “young voter carried away”. I know this part of the country inside out. In reference to people asking about what polling I have seen it is my own private poll which I carried out in January as part of a proposed research project that I’m hoping will be accepted about how likely it is for an SNP/Syriza/Green style party to win a majority in 2020. Here are just a selected set of relevant results of my questionnaire and then I’ll do a bit of analysis. Can you confirm you live in Buckingham constituency for Westminster elections? Would you say that people in this constituency are “sick of their current Westminster situation”. Do you support the use of votes in the historic 2015 general election to get involved in politics? Considering that change is needed, will you vote for the Green Party? 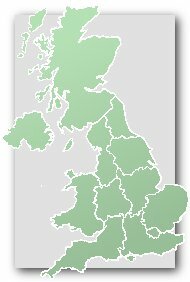 ANALYSIS: These findings show that there is a very strong chance that, if there is a “Green Surge” as most people accept, Buckingham could be really close to going to the Greens because it doesn’t have establishment parties to control the masses. Free from the shackles of “Vote Green, Get Tories”, voters will be very likely to vote Green because it is widely accepted they have the better policies than Labour, but the establishment try to scare people into voting for Labour saying otherwise the Tories will win, even though they’re all the same. Firstly, a clear majority want a change in Westminster. I think the best way of reading this is to say that this implies that they will not vote for the 3 main parties because they are all the same in terms of policy positions. There is a huge opportunity for people to vote Green here, then. And this is combined with a large majority of people who support using votes to make the change. That suggests there will be a hefty Green vote in this constituency in 2015, perhaps big enough to push it over the finishing line, we shall have to see. What?! 4 out of 150 say they’d vote Green and that makes it winnable? Oh and your 24 who def wouldn’t was again out of 150, not 75,000. An anti austerity Party might save a deposit eg Nellist et al but it certainly wouldn’t be in Bucks in 2020 or 2050! Not all polls haveta +/-2% error, it depends on the sample size (usually of around 1,500). We know, Anthony. We know. Does this count as the worst serious prediction in UK polling reports history?